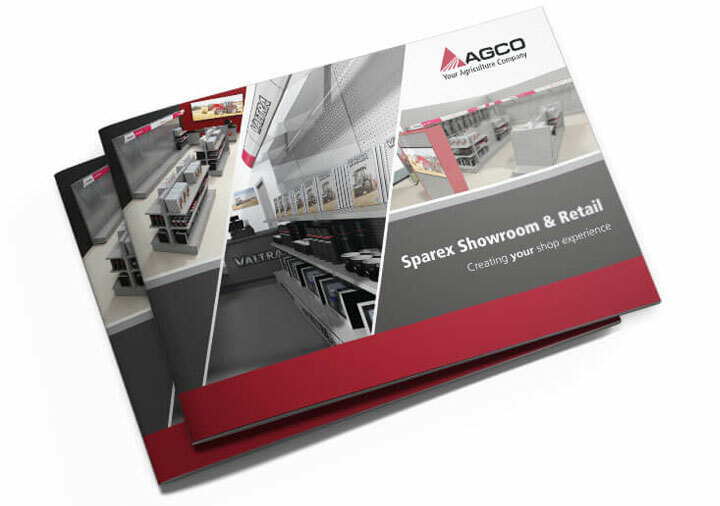 Sparex design and install showroom solutions for agricultural retailers. A brochure was needed to show customers the various display stand options available. High resolution 3D renders were provided by the stand manufacturers. This brochure was for the AGCO branded range of stands.